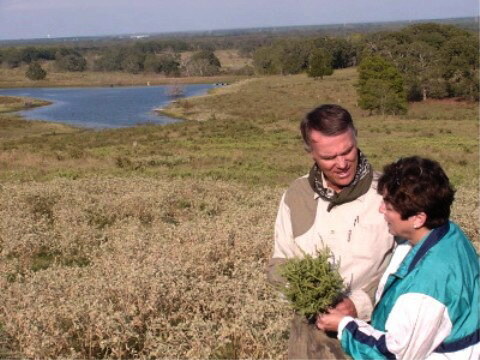 In 2001, the Reed Family Ranch was presented with the regional Lone Star Stewardship Award in Austin by the Texas Parks and Wildlife Department. Portions of the below information was written by Carl Frentress, wildlife biologist for TPWD in 2002. Thanks Carl! 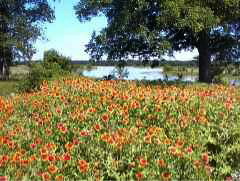 The Reed Family Ranch consists of 1,727 acres of upland native savannah and bottomland hardwoods along three miles of the Trinity River. About 270 acres of non-forested wetlands also occur throughout the bottom. Historically, both the native rangeland and valuable timber was depleted due to non-sustainable grazing and logging operations. 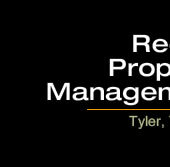 Current land use practices are reversing this decline however, by employing Holistic Resource Management (HRM) principals. - Preservation of bottomland hardwoods under TP&W's Forested Wetlands Program. 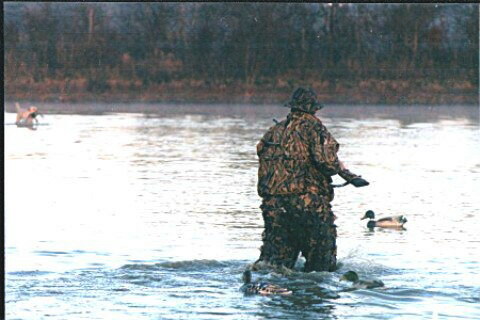 -Wetland enchantment for waterfowl production. 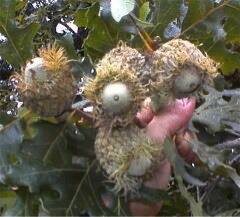 -The long term goal is to restore the native hardwood diversity by reintroducing a variety of oaks and other mast producing trees following thinning of lower quality elms and ashes. -On the uplands, native savannah grassland is being allowed to recover. -Varieties of the native switch grass are being evaluated by the Natural Resource Conservation Service and the Texas A&M Agriculture Extension Service. -Ponds were constructed to check erosion and enhance habitat for waterfowl. -Youth hunts were held for whitetail deer and feral hogs following TP&W's harvest recommendations while providing a vital public outreach service. -Hunts are marketed through the ranch website, and a newsletter was developed to keep visitors informed of upcoming activities. The Reed's dedication to managing their land for wildlife as well as cattle has earned them a reputation as stewards and teachers. Numerous individuals and groups have benefited from their generosity to share their outdoor experiences. By following the principals of HRM, the Reeds are integrating wildlife management, livestock production and outdoor learning experiences for future generations. -Native herbaceous vegetation has flourished in the grazing paddocks. Several species are appearing after a long period of absence under previous land use. Other species are increasing in abundance and biomass. 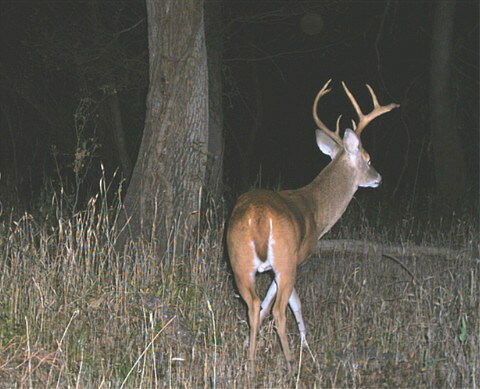 Benefits are realized in more abundant and widespread forage for both livestock and deer. Perhaps more importantly, the entire grassland community seems to be prospering. -The organic component of grassland soils is increasing. -Erosion from grazing lands is practically nonexistent. Run off is affected both in terms of reduced turbidity and better percolation. -The aesthetic qualities are being enhanced. This is particularly noticeable in the remarkable wildflower growth during spring and summer. -Vertebrate diversity is becoming more abundant and widely distributed because of habitat improvements that increase the number of niches and associated opportunities for food, water and shelter. -Efforts are underway to restore desirable wildlife habitat to the bottomland hardwood forest. This inherently is a long-term project. Positive results are achieved much more slowly than with the native herbaceous communities. The long term goal is to stimulate original forest conditions through application of ecologically based prescriptions for the objectives of producing sawtimber and diverse wildlife populations. 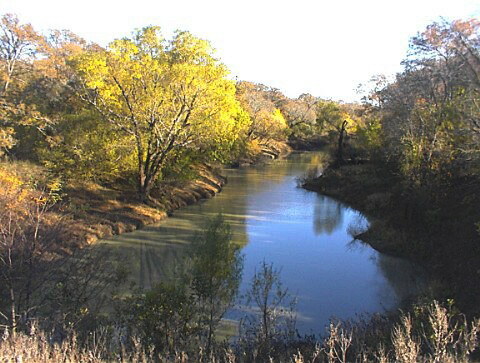 This goal especially is notable for the Reed Family Ranch because bottomland hardwood forest throughout this reach of the Trinity River floodplain consistently exhibit severe degradation because of persistent historical high-grading logging that removed valuable trees and associated wildlife habitat characteristics. Special recognition is recommended for the importance of this goal on the property.